I was involved in a concert at high school in central Queensland, I gave myself all the best parts. My headmaster came up to me and said “Jarratt, I thought you were only good for disturbing classes, turns out, you could be a good actor” and the seed was sown. 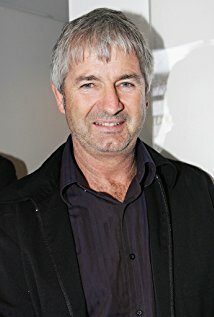 You have played the role of Mick Taylor in the two Wolf Creek films and the TV series, how did this role come about? Greg McLean had seen me play a hard nosed outback cop on stage and thought from that performance, I could play Mick Taylor. What has inspired your performance as Mick Taylor? You need three things to make a successful film, the script, the script and the script. The script inspired me. What was it like reprising your role for TV series? When I first played Mick in Wolf Creek, it was hard work, I knew what I wanted to do, but your never sure it will work. Thankfully it did. So I have no trouble reprising the role [for the sequel and the tv series] it’s like riding a bike now, I know exactly what to do. 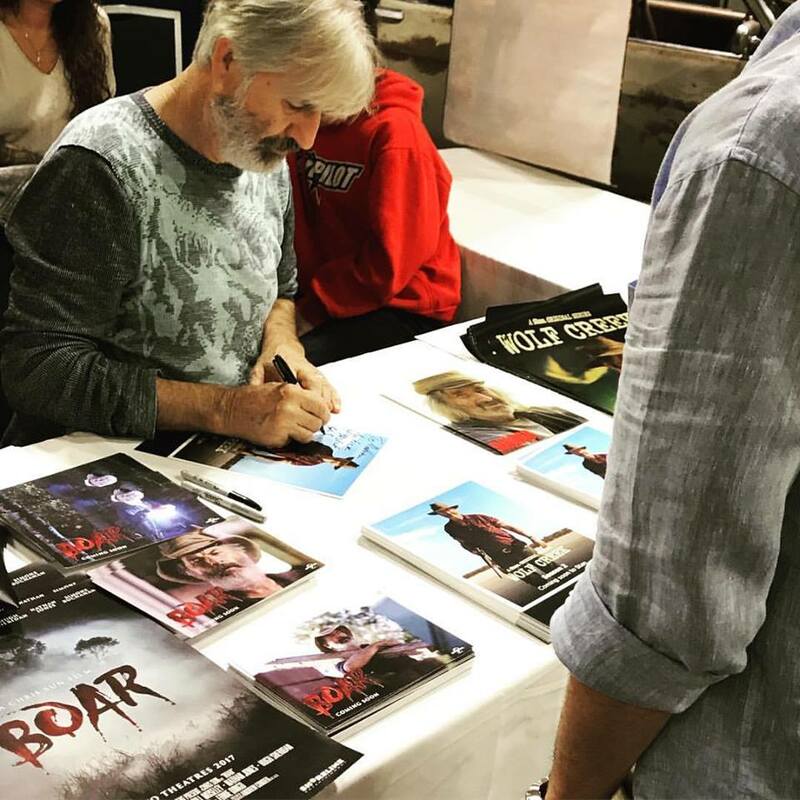 Can we expect a future Wolf Creek film or TV series? As long as they keep rating through the roof, we’ll keep making them. I think it’s up to the wolf creek team as to when we’ve had enough. How do you think the Australian film industry differs from other parts of the world? We get on with it. Australian actors know they’re not gods living in trailer paradise. We’ve got 2 things to do, know our lines and try not to bump into the furniture. We’re a cog in the wheel, the acting department, no more or less important than any other film department. We line up for our meals, no priority. We sit in the tent with the crew and eat. Not in a trailer, I hate trailers. You acted alongside Quentin Tarantino & Michael Parks in the film Django Unchained, how was this experience? Michael Parks used to tell me yarns about old Hollywood, very funny and insightful old-school actor. loved working with him. Quentin is the consummate film maker, knows exactly what he wants from development to delivery and then he goes on the road with the film. Very intelligent, genius, photographic memory, yet respects actors and doesn’t get in their way. Beautifully mad, loved working with him. I like horror that can happen. Psycho, Cape Fear, Silence of the Lambs and Wolf Creek. What have your experiences been like meeting fans at conventions? We have a ball, ton of laughs. Fans know more about my movies than I do, I love their passion. My fans always want me to sign something Mickish, they love to be told to F off! You have working on many projects over the years – which have been your personal favourites? Picnic at Hanging Rock, The Last Outlaw, Fields of Fire and Wolf Creek. A Street Car Named Desire. Wh.at is your favourite TV Show of all time? The next one because the scripts great! 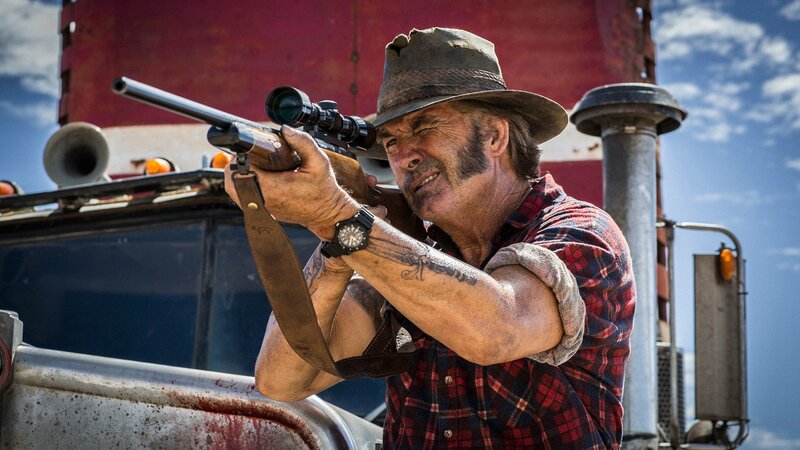 Wolf Creek series 2 is released here (Australia) in December and I’m in a film called Boar about a bloody big pig that terrorises a small country town, released by Universal early next year.